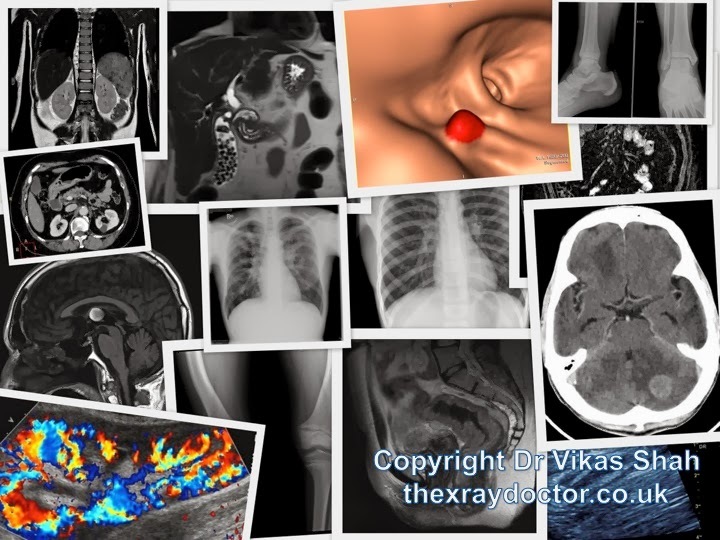 the xray doctor: Welcome to 2014! Have you all had a great start to 2014? One of my resolutions this year is to try to increase awareness of what it is that radiologists do. In this day and age, pretty much every time you suffer any kind of illness, you are likely to have a scan. But most people still don't know what we actually do, what their scan images look like, and why we do a certain type of scan. Stay in touch with my website and all my social media channels listed below to learn about what we do. Luckily it is a very visual job, so during this year I will try to share lots of interesting images and videos with you, and I'll try to spare you any long lectures! If you find this interesting, please help me spread the word by liking/resharing this page. As always, any feedback you have is most welcome. Pin the above image here.